Quality control is an important component of any modern production. To examine the quality of a thermoplast weld, Deutsche Verband für Schweißtechnik e.V. recommends the Technological Bending Angle Test - something also prescribed by the corresponding EU regulation. The 01.30 BP bending tester has been devised for this. 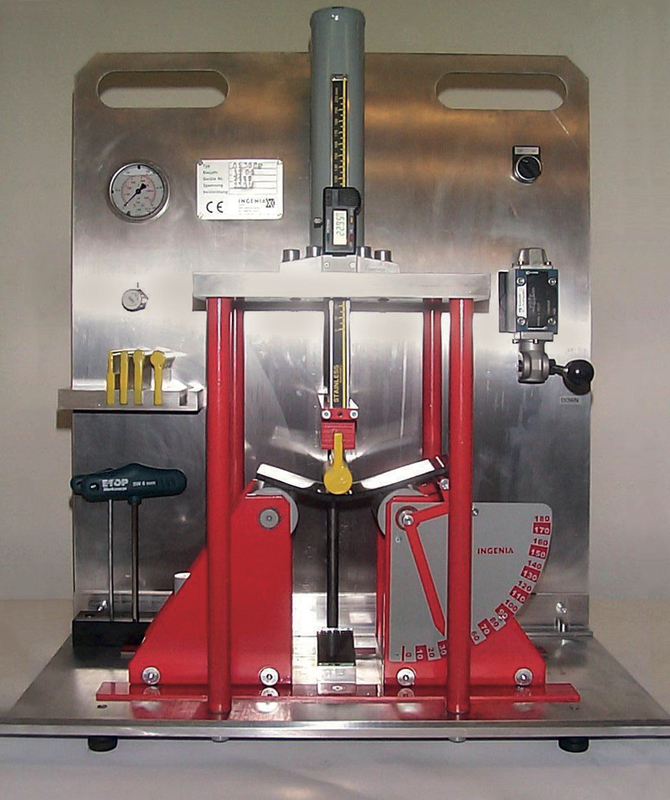 The 01.30 BP bending tester is designed strictly in line with the DVS directive requirements. A travel measurement device and/or a bending angle of the 01.30 BP can establish weld quality.